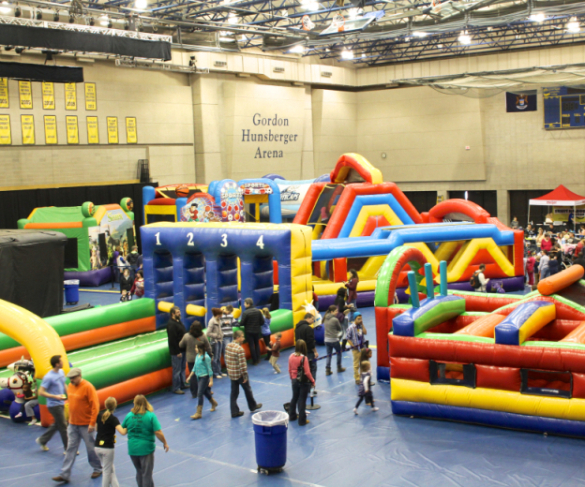 Super Saturday Kids Zone is a themed kids carnival featuring surprise guests, inflatable activities, dancing, kid friendly music, games and much more! What better way to start a Saturday morning than this? Meijer is providing Ham and Turkey wraps, goldfish, fruit snacks and water for lunch. We will also have coffee for the parents. Please note: Children under 12 months of age do not require a ticket. Will you be right side up or upside down? Jump on and find out! Arrrrrr you ready to have some fun?! Climb aboard the inflatable playhouse of the sea! Sensory Safe Area (in Side Room). If your child needs to step away or is over stimulated we have a zone for them! So bring your kiddos and come on down to Super Saturday Kids Zone!